Our state has many great places to call home in addition to West Michigan. Discover some of the great things about central, southwest, and northern Michigan. 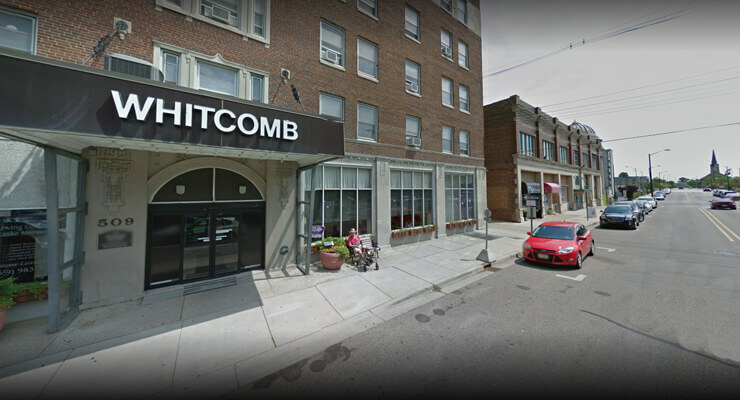 Battle Creek’s 26 constituent neighborhoods allow residents to occupy everything from historic homes to apartments above the thriving downtown, offering diverse living options to accommodate the variety of tastes and styles of the community. Visit Neighborhood Scout for demographic and real estate information for each Battle Creek neighborhood. Visit Homes.com to view available homes, apartments and condos in Battle Creek. 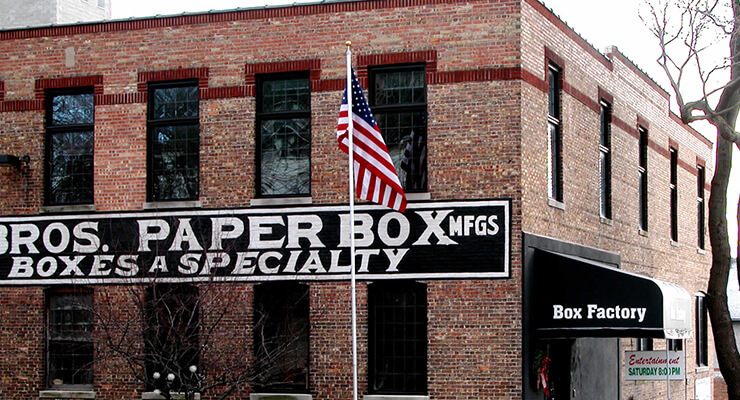 Battle Creek’s surrounding communities offer a variety of living styles to suit the tastes of its diverse population. To learn about Battle Creek’s suburbs, click on the following communities for more information. When you’re looking for a one-of-a-kind experience, Battle Creek has you covered! 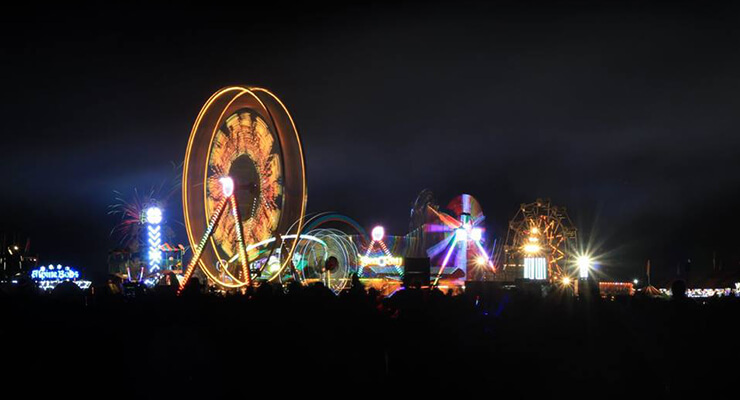 Dining at the world’s longest breakfast table, flying high at the Hot Air Balloon Festival, or enjoying dinner and a show downtown are just a few of the many possibilities that will keep you entertained all week long. The Battle Creek/Calhoun County Visitors & Convention Bureau offers a comprehensive Events Calendar for Battle Creek. If you want to know what’s going on downtown, Live it up! provides a listing of Downtown Events in Battle Creek that is updated daily. The Art Center of Battle Creek presents high quality programming in the visual arts for the enrichment, education and enjoyment of the citizens of Battle Creek and beyond. At Binder Park Zoo, you will experience a variety of animals from around the world all without leaving the country! This zoo features approximately 600 specimens of over 140 species including one of the largest giraffe herds in the country. The 31-member Brass Band of Battle Creek is an All-Star band of the brass and percussion world’s elite, attracting great musicians from around the United States and Europe to play two annual concerts in Battle Creek as well as a limited number of other engagements in handpicked locations in the U.S. and abroad. The Battle Creek Cereal Festival is an event that celebrates the city of Battle Creek and features the World’s Longest Breakfast Table, concerts, healthy living activities, a parade and much more. The Battle Creek Field of Flight Air Show & Balloon Festival is an awesome, 2-day show featuring military demonstrations and top-notched civilian performers, carnival rides and games, fireworks, and much, much more. FireKeepers Casino brings the heat to Battle Creek with over 2,680 hotter-than-hot slots, 78 table games from Blackjack to Pai Gow, a live poker room and five sizzling restaurants serving up everything from fine dining delicacies to 24-hour favorites. The Historic Adventist Village is a fascinating three-block experience that includes authentically restored or replicated buildings featuring the heritage of the Seventh-day Adventist Church. The Children’s Garden at Leila Arboretum is a fenced in one-acre outdoor learning environment where children of all ages discover the wonderful world of plants and their role in our lives. The Battle Creek Music Center is home to the Battle Creek Symphony Orchestra, the Battle Creek Boychoir and Girls’ Chorus, and the Community Chorus and its Pops Ensemble. The activities of the various programs include local concert series, outreach programs, private instruction, group lessons, choral training, group performances, tours, and several special events and fundraisers throughout the year. The St. Thomas Episcopal Church offers a broad spectrum of musical and other artistic experiences. Battle Creek has a thriving sense of community. From non-profits to community organizations and other philanthropic opportunities, there’s no shortage of ways you can give back. For a comprehensive list of ways you can get involved in Battle Creek and start making a difference, click here. Battle Creek is a diverse community. With a wealth of organizations dedicated to promoting diversity and understanding, Battle Creek welcomes you. The Urban League of Battle Creek has built a bridge between races and has sought to emphasize the greater reliance on the unique resources and strengths of the African-American community to find solutions to its own problems. Battle Creek is a recreational paradise that offers a plethora of opportunities that encourage healthy, outdoor living. Whether you’re looking to explore wildlife at Binder Park Zoo or experience the beautiful nature surrounding Linear Park’s 24 miles of trails, Battle Creek’s 7,000+ acres of parks and forests will keep you active and healthy all year long. Bailey Park is a multi-use park featuring three full-sized baseball stadiums, including the 6,000 seat C.O. Brown Stadium, two quadra-plex softball diamonds, four sand volleyball courts, a playground and 12 shuffleboard courts. The Battle Creek Bombers are a member of the prestigious Northwoods League, the country’s premier summer collegiate baseball league. The Bombers play a 35-home game schedule at C.O. Brown Stadium, located in Battle Creek’s Bailey Park Sports Complex. The Battle Creek Revolution Hockey Club belongs to the AAHL Professional Hockey League and is a Minor League Affiliate of the Muskegon Lumberjacks in the IHL. Flash Flood at Full Blast is an internationally award winning family water park that offers over 80,000 square feet of fun for the entire family, including indoor and outdoor water parks, inflatables, bungee run, bouncy room, trampoline, food court and more. The Fort Custer Recreation Area comprises 3,033 acres located between Battle Creek and Kalamazoo and features three lakes, the Kalamazoo River and an excellent trail system. Linear Park offers 24 miles of bike trails, spots for fishing and canoeing in the Battle Creek and Kalamazoo rivers, and an abundance of wooded areas and open fields. Battle Creek Parks & Recreation offers a complete listing of parks in Battle Creek. Boasting a nationally recognized Math & Science Center and innovative educational and training programs, the Battle Creek area is home to four public and five private school systems as well as many specialty schools. Battle Creek Public Schools – A world-class system providing a quality education that prepares all students to be productive and responsible citizens. 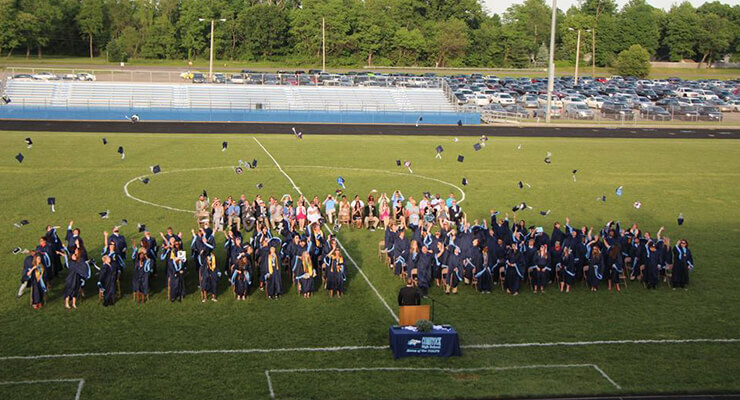 The mission of Harper Creek Community Schools, the cornerstone of our community, honoring the past, excelling in the present, and focusing on the future, is to ensure that each student achieves optimal academic growth and is a responsible citizen of our global society. We’re Building New Traditions of Excellence Every Day! To ensure all students are successful learners and become outstanding citizens. The mission of the Academy is to provide a high quality general program of fundamental education in reading, mathematics, science, social studies, conduct, health/physical education and art. Our Mission is to provide academically sound, scripturally directed instruction to assist Christian families in teaching their children to know God and His world; to develop Godly character as Christ’s image bearers and to acquire knowledge, skills and values to fulfill their calling as His servants. 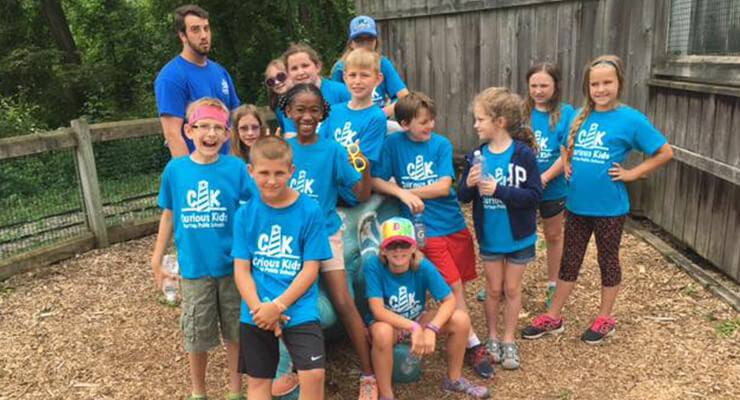 Calhoun Christian School exists to bring academic excellence to a growing number of Calhoun area students while upholding God’s truth and high standards of health and wellness, enabling young people to positively impact our community and our world. The BCAMSC is one of 33 regional centers in the Michigan Mathematics and Science Centers Network. These centers provide leadership, curriculum support, professional development, and student services to educators in local school districts. The centers also serve as a resource clearinghouse for educational materials and information, and work to foster community involvement in the areas of math and science. The school that provides students a chance to broaden their perspective in the future by learning the Japanese culture and all it entails. The Calhoun Area Career Center (CACC) integrates academic knowledge with technical skills, providing well rounded educational opportunities for any student serviced by the Calhoun Intermediate School District. We are not just preparing students for jobs after high school. Students today need more than just a high school education, and our mission is to prepare them for their post-secondary journey. Integrating technical and career training gives meaning and relevance to their academics. Just one of the many programs offered for the students through Battle Creek Public Schools. Battle Creek offers parents very good quality child care alternatives. An area of consideration for parents is whether the center provides faith-based or non-faith based child care. 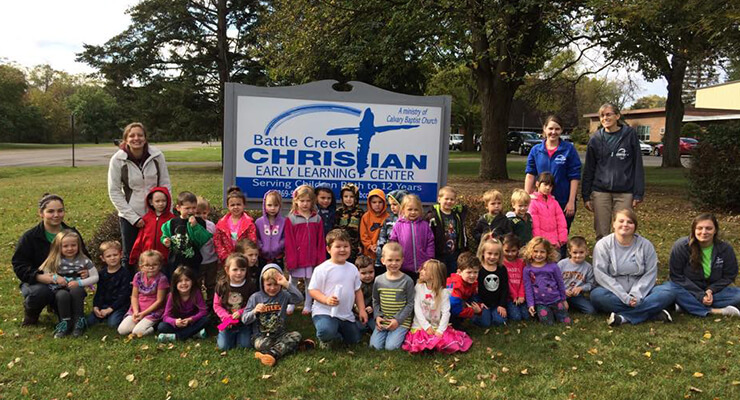 Faith-based Battle Creek child care centers will typically provide a program that includes specific faith-based activities, however many preschools and daycare centers are open to children of all denominations. 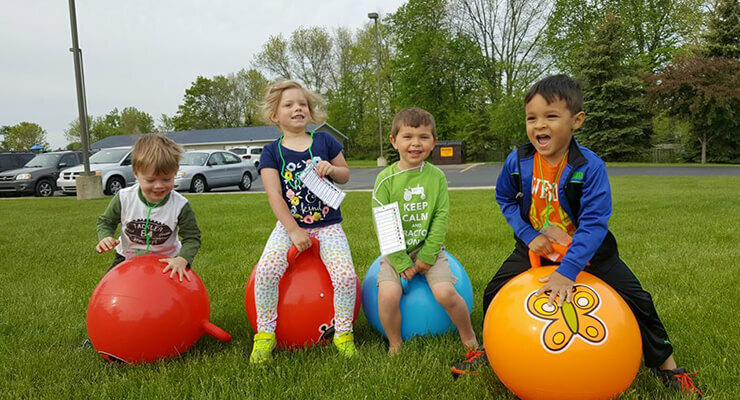 Many Battle Creek child care and infant care providers are located in a relatively small geographic area that is easily accessible, so it is convenient for parents to visit the centers they are interested in. There are also different types of learning approaches offered by Battle Creek child care centers. Examples include: Montessori, Play-based, Developmental, Structured Learning etc. Do you need to hire a Battle Creek nanny, babysitter or other caregiver? View caregivers for child care, senior home care and more near you. Review availability, experience and rates to make the perfect choice for care in Battle Creek, MI. A list of Child Day Care facilities located in the Battle Creek Area. West Michigan is home to a diverse population and vibrant faith communities, including Buddhist, Catholic, Hindu, Hispanic, Islamic, Jewish, Korean, Lithuanian, Polish, Protestant, Russian, Sudanese and Vietnamese institutions..
Visit InfoMI to view a list of area places of worship in Battle Creek. 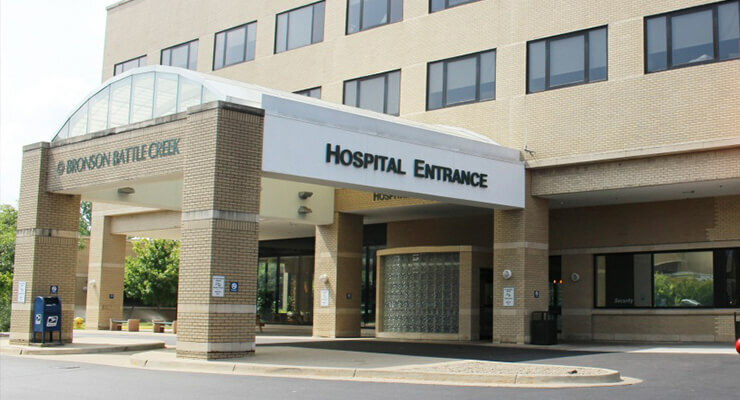 Battle Creek offers an array of healthcare options, ranging from large health systems to small hospitals and clinics that are sure to fit your needs. Bronson Battle Creek is an award winning, multi-campus health care provider that serves approximately 200,000 people in south central Michigan. Grace Health provides a wide array of health care services to patients of all ages, from newborn to seniors. Avalon Behavioral Health offers counseling sessions for individuals, couples, and families that cover the client’s work life, family traditions, cultural and spiritual beliefs, and sexual identity. Family & Children Services is an organization whose mission is to support, strengthen and preserve the safety, well being and dignity of children, individuals and families. Bronson Battle Creek’s Fieldstone Center helps patients with mental illness through a variety of state-of-the-art treatment methods and environments. The Psychological Consultants of Michigan offer mental health services that include marital & family therapy, child & spouse abuse counseling, therapy for depression & anxiety and much more. Summit Pointe offers a variety of programs and services designed to help you achieve a higher quality of life, serving as your mental health care provider and much more. The Cancer Care Center at Bronson Battle Creek is recognized as one of the best cancer centers in Michigan. With its innovative technology designed to treat all cancer symptoms, the Cancer Care Center has become a leader in cancer treatment. The Bronson Battle Creek Health System’s Cardiac Health Services are designed to perform numerous operations in order to analyze and improve the condition of your heart. Bronson Battle Creek offers an extensive array of neurodiagnostic services that detect electrical activity in the brain and nervous system. NorthPointe Woods is situated on approximately 72 acres of wooded land overlooking the City of Battle Creek and bordering Battle Creek’s Linear Park. They offer both independent and assisted living. NorthPointe Woods is conveniently located adjacent to Kellogg Community College, and near Battle Creek Health System, a pharmacy, grocery store and restaurants. 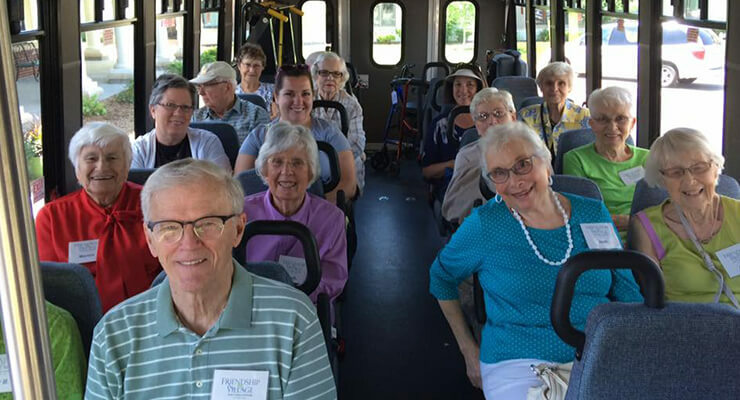 Bickford exists to enrich HAPPINESS in the lives of our residents, our beloved friends. Happiness is a very personal thing and it has become our mission to discover what that is for each of our residents, based on their life story, their expressed wishes and desires, even based on their day. Brookdale Battle Creek located in Battle Creek, Michigan provides care and Personalized Assisted Living options for seniors. We take time to know your life stories, your family, your friends and your dreams. The emphasis is on providing a wonderful assisted living lifestyle, allowing you to do what you can and helping you remain as independent as possible. The central region of Michigan is a hot-bed of activity, especially on game day. As home to Michigan State, one of the nation’s largest universities, Lansing is always humming and a great location for young people. The city is also home to our state’s capital. 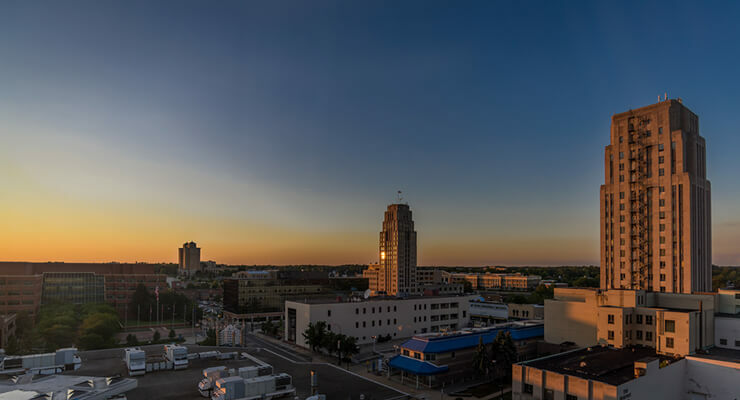 The city of Kalamazoo is divided into 22 neighborhoods, with great diversity in the character of each. Closer to the city center are historical residential areas, with modern developments located in the southwest. The Central Business District and the neighborhoods to the south contain much of the area’s retail shopping, mixed with a residential populace. Kalamazoo’s surrounding communities offer a variety of living styles to suit the tastes of its diverse population. To learn about Kalamazoo’s suburbs, click on the following communities for more information. Kalamazoo offers endless fun – a wealth of cultural and entertainment opportunities from symphony performances to night clubs, from avante gaurde theatre to traveling Broadway shows – coupled with an impressive mix of more than 300 restaurants. All Ears Theatre debuted in January 2002 as a collaboration of local artists organized by the Arts Council of Greater Kalamazoo. Twelve free performances (comedies and dramas) in the style of radio’s golden age are presented each season. 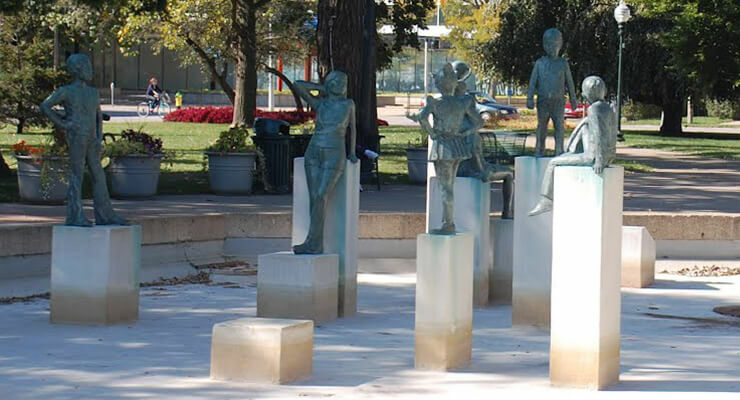 The Arts Council of Greater Kalamazoo is a nonprofit organization that seeks to improve the cultural life in greater Kalamazoo through arts management services, grant programs, education, advocacy, arts council, programs, and event promotion. One of the nation’s oldest Equity resident summer-stock theatres, the Barn Theatre is a longtime Michigan entertainment destination. Sixty years and nearly 500 performances under the same management is a benchmark nearly unparalleled in the theatre industry. Discover Kalamazoo offers a detailed list of dining and nightlife options. The Irving S. Gilmore International Keyboard Festival is a non-profit organization that fosters and supports a passion for keyboard music and artistry. Through a world-class festival, noncompetitive artist awards, year-round education programs, special performances and commissioning new music, The Gilmore makes great music a treasure for everyone to share. The Kalamazoo Air Zoo is a highly charged, multi-sensory atmosphere that is like no place else on Earth. 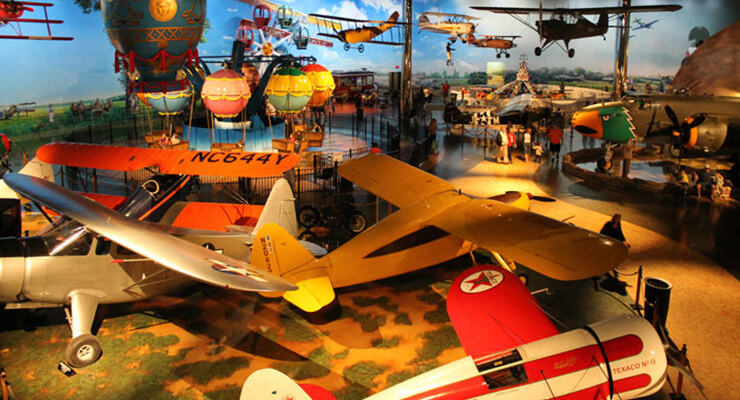 Voted the “Best Place to Take Out-of-Towners”, the Air Zoo features many amusement park-style rides, full-motion flight simulators, 4-D Missions Theater, Magic Planet, Space Ball and a Zero Gravity Experience, as well as historical exhibits and educational activities. The Kalamazoo Concert Band is an adult ensemble comprised of more than 100 adults from the southwestern Michigan area. Over 25 of these members are current or retired music educators and teachers while the rest represent a diversity of occupations. Membership in the KCB is by audition and the band rehearses weekly, performing four free concerts each season. The Kalamazoo Institute of Arts is both a museum and community art school. Since 1924, KIA has worked to cultivate both the creation and appreciation of the visual arts. The Kalamazoo Symphony Orchestra presents professional orchestra performances and education programs for audiences throughout southwest Michigan, fostering lifelong appreciation and support for symphonic music. Located on Western Michigan University’s campus, Miller Auditorium is ranked as one of the top ten facilities in the United States, and is the third largest theatre in Michigan. 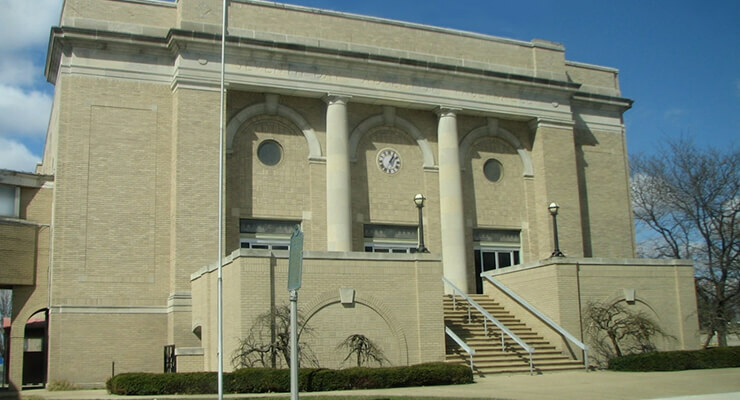 Miller Auditorium has always been careful to never lose sight of its purpose in the cultural landscape of the community, and has become the premier center for performing arts not only in Kalamazoo, but also in all of Southwest Michigan. The State Theatre offers a full range of big-name concerts throughout the year. Built in 1974, Wings Stadium has been home to the Kalamazoo Wings of the United Hockey League since the 2000-01 season. The Stadium is also a full entertainment venue offering concerts, professional hockey, family shows, and trade shows. 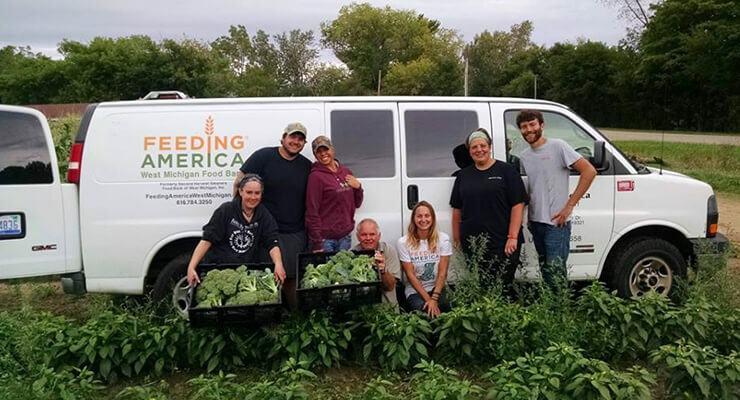 Volunteer Kalamazoo connects residents to the various volunteer opportunities in their communities. 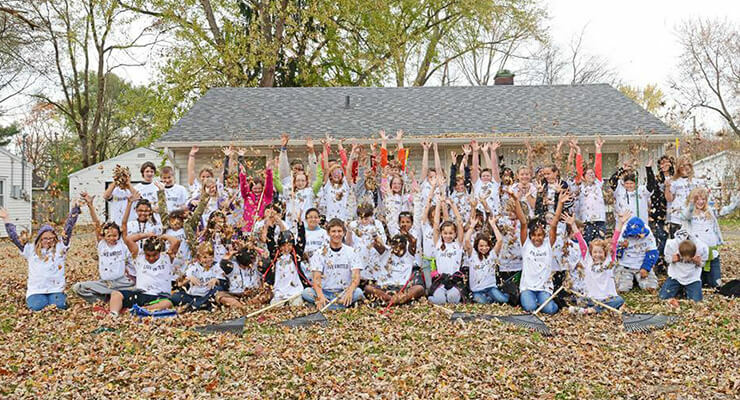 The Kalamazoo community is home to a wealth of diversity initiatives and resources. The Hispanic Center of West Michigan serves as a resource for the Hispanic and broader community. The West Michigan Hispanic Chamber is dedicated to working with all members of the community to increase the economic advancement of Hispanic owned businesses and to assist in the professional growth of Hispanic business leaders in West Michigan. The National Diversity Education Program is a multi-year joint project of the Japanese American National Museum and the National Center for the Preservation of Democracy. Outdoor activities are plentiful in Kalamazoo, no matter what time of year. Fish, swim, sail, or boat in one of Kalamazoo’s 83 lakes or visit the sandy shores of Lake Michigan—just a 40-minute drive or three-hour bike ride away on the Kal-Haven Trail. Around every corner in Kalamazoo, there is a park or trail with areas for picnics, biking, hiking or horseback riding. Bittersweet Ski Area offers 20 open runs and variety of skill levels. Cold Brook Park offers camping, boating, fishing, swimming, disc golf, and much more. Echo Valley Winter Sports Park has something for everyone to enjoy winter sports: tobogganing, skating, tubing, and more. The Kalamazoo River Valley Trail is the newest Kalamazoo County Park. The trail is free to use and has a paved-asphalt surface that is 12-feet wide. It’s a multi-purpose trail for non-motorized transportation and recreation. Kalamazoo Rod & Gun Club is a private club for enthusiasts of shooting sports and fishing. Kalamazoo Rugby Football Club welcomes all skill levels year-round. Kalamazoo Speedway is the only NASCAR sanctioned short track in Michigan and hosts races weekly from the end of March through the middle of October. The Kalamazoo Sport and Social Club is perfect for the Grand Rapids 21 and up, professionals. We offer a unique opportunity to meet other physically and socially active individuals. From Dodgeball, Kickball, to Flag Football. All teams are coed. Kalamazoo Wiffle Ball Club is one of the nation’s premier programs. The Kalamazoo Wings are a mid-level professional hockey team. Comprised of two distinct areas, Markin Glen Park features hiking trails through a beech maple forest alongside swimming, fishing, and camping areas. Prairie View Park offers boating, fishing, hiking and more. River Oaks Park features soccer fields, picnic areas, playgrounds and more. Soccer-Zone is a multi-sport complex offering recreation for youth and adults. The Courthouse is a private facility designed specifically for basketball, volleyball, and fitness programs. A wide variety of programs both for kids and adults are offered. 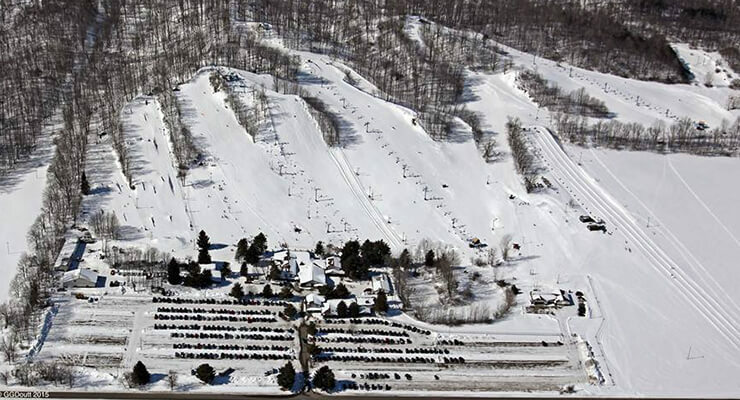 Timber Ridge Ski Area offers skiing, tubing, and snowboarding on 16 trails. Wings West is home to the West Michigan Hounds, a AAA team. The rink is available for rent and open skate. US-131 Motor Sports Park has a history of offering the finest shows featuring the most prominent drivers in the sport of championship drag racing. 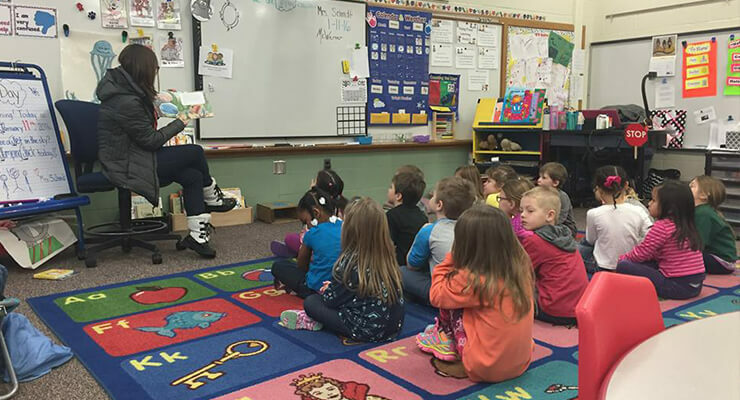 From preschool to PhD, education is a priority for the Kalamazoo community. With public, private, parochial, technical and charter schools in the mix, parents have many choices on how their children are educated. The Comstock Public School District is a full service district with the services and programs of a large metropolitan school system in a small rural setting. We pride ourselves on keeping classroom sizes small and our ability to be responsive to the needs of each child in the district. 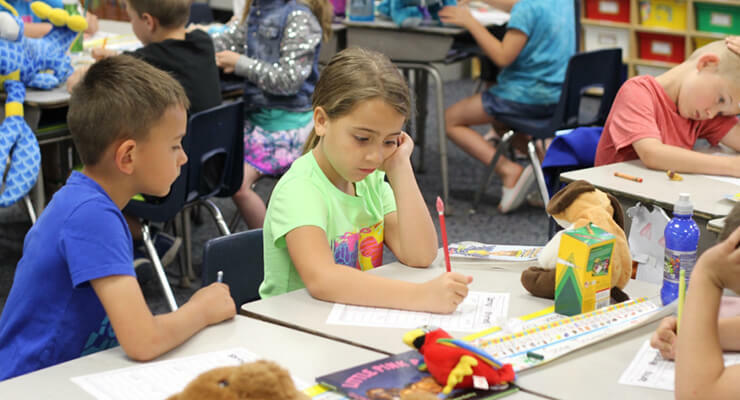 The Gull Lake Community Schools Foundation supports a vibrant learning environment which enhances student achievement and advances the role of the schools in the community. Mattawan Consolidated School will be a collaborative and innovative learning community where every individual is valued, challenged and connected. Hackett Catholic Central is committed to preparing our students for lifelong success by promoting and developing faith, character, and academic achievement in a supportive and challenging Catholic faith-based environment. The Kalamazoo Christian Schools have established a solid reputation for excellent academic and extracurricular programs. All subjects are taught with the knowledge that Jesus is Lord over all creation. The Bible is our foundation and guide in exploring the world in all of its dimensions. We provide a safe, small, nurturing K-8 environment, where students achieve more and significantly impact the high schools they attend. Kalamazoo offers parents very good quality child care alternatives. Take a look of some of the more popular options below. Each day, KinderCare provides a balanced approach to learning, giving you the peace of mind that your child will have fun as he develops socially, emotionally, physically, and intellectually. We give your child the tools to become confident and self-aware. In a caring and stimulating atmosphere, our passionate and engaging teachers give your child endless opportunities to grow, learn, and imagine—whether building a spaceship to blast off to Mars or inviting a new friend to share a story during group time. While academics play a role in development, we believe there are many other opportunities for enhancing the whole child. We are a Child Care Provider located in Southwestern Lower Michigan. We offer full and part time educational Child Care Programs for children two weeks to twelve years throughout the school year and also provide an extensive summer program. We are the preferred choice of more families in Kalamazoo and Calhoun Counties than any other Child Care Program. KDCCC was established to provide free, short-term child care for low-income families with children from six weeks through the age of five. The objectives of our service are to enable parents with young children to more rapidly negotiate the maze of appointments and services often required to obtain employment, permanent housing, register for school or attend classes and eventual self-sufficiency. We also give parents a “healthy” break from the demands of parenting. We have created a warm, safe, and supportive environment for children and their parents. Milwood Commons Preschool and Childcare: Milwood Commons exists to provide a place where children, ages infant through five, can grow and develop physically, emotionally, socially, and spiritually. Milwood Commons Preschool and Childcare values the partnership we have with families, as children grow and develop the necessary skills needed to become active participants in their families and communities. Every child at Milwood Commons Preschool and Childcare is welcomed, loved just as they are, and valued for the unique gifts they bring. 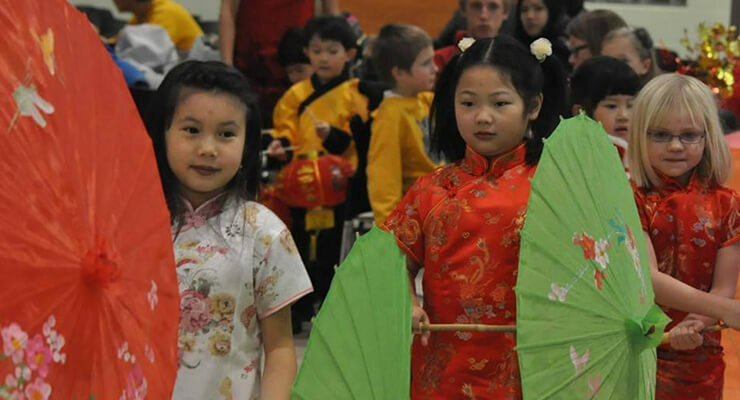 West Michigan is home to a diverse population and vibrant faith communities, including Buddhist, Catholic, Hindu, Hispanic, Islamic, Jewish, Korean, Lithuanian, Polish, Protestant, Russian, Sudanese and Vietnamese institutions. Kalamazoo’s business directory offers a search engine for all places of worship in the area. Kalamazoo offers an array of healthcare options, ranging from large health systems to small hospitals and clinics that are sure to fit your needs. 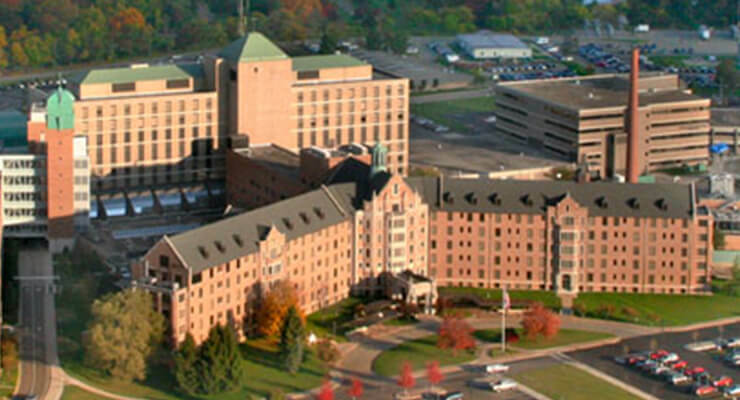 Borgess Hospital provides expertise in multiple medical services and is one of the top heart hospitals in Michigan with over 15,000 heart patients each year. Bronson Hospital provides care in virtually every specialty—cardiology, orthopedics, surgery, emergency medicine, neurology, oncology—with advanced capabilities in critical care as a Level I Trauma Center. In addition, Bronson Hospital boasts the only Children’s Hospital in Southwest Michigan. The Kalamazoo Psychiatric Hospital, also referred to as “The State Hospital”, is the largest psychiatric hospital in the state of Michigan. They can be reached at (269) 337-3000. Kalamazoo Community Mental Health serves adults with mental illness, substance abuse issues, children with serious emotional conditions, individuals with developmental disabilities and offers support to the families with these conditions. Pine Rest Christian Mental Health Services provides numerous behavioral and mental health services with professional excellence, Christian integrity, and compassion. WRAPS is a program driven to improve the care for children’s mental health by offering support, resources and services to meet their individual needs. The Children’s Hospital at Bronson Methodist Hospital is the only children’s hospital in Southwest Michigan, providing services such as Children’s Health and the Child Life Program. The West Michigan Cancer Center is a leader in cancer care and offers innovative cancer treatment, therapies and contemporary clinical procedures. Advanced Cardiac Healthcare offers six convenient locations throughout Kalamazoo that provide cardiac services driven to meet the needs of its patients. 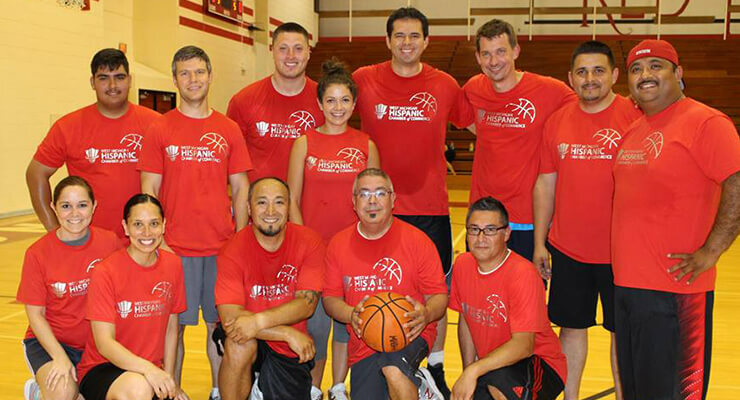 The Borgess Heart Institute is a leader in cardiology in West Michigan. In addition to launching the first open-heart surgery program, Borgess Heart Institute is also home to the first freestanding cardiac rehabilitation center in the area. Bronson Hospital provides neurological services through highly-skilled doctors trained to diagnose, treat and manage patients with multiple neurological disorders. Heritage Community of Kalamazoo (HCK) is an excellent choice for people seeking a warm, friendly, quality focused place to call home. Our location, range of services, comfortable setting and friendly, caring staff all combine to create a great place to live. We want you to feel that when you become involved with HCK you become part of something very special. At Watermark, we’re committed to creating extraordinary communities where people thrive. We believe people thrive when they live in a community that encourages each of its members to live life to the fullest extent possible. That might mean fulfilling lifelong dreams, like Lester Potts of Thunderbird Retirement Resort, who went skydiving on his 95th birthday. He’s planning another dive on his 100th birthday. Have you been looking for something more than the typical retirement community? At Friendship Village, we believe retirement should be a time of freedom, fulfillment and fun. In our enriching, independent and secure environment, residents help shape their own vibrant and friendly community. Come discover your ideal retirement living choice! Park Place Assisted Living provides senior adults with assistance in daily living in a comfortable home atmosphere. Our compassionate staff provides support tailored to meet their needs. In addition to our three (3) General Units, Park Place offers two (2) Specialty Units: one designed for the needs of the memory impaired resident and one focused on residents requiring additional physical assistance. Each building houses only twenty residents, which allows for an intimate and family oriented setting. Residents enjoy companionship while maintaining dignity and independence in a secure environment. 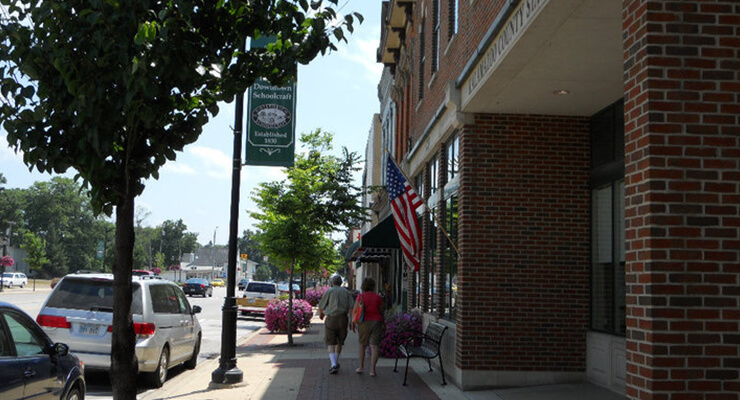 St. Joseph is centrally located in the heart of Southwest Michigan. 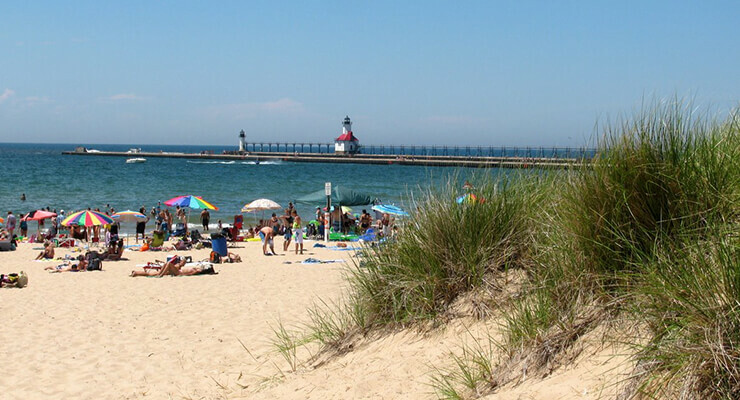 Located at the mouth of the St. Joseph river, St. Joseph offers miles of beautiful lakeshore on Lake Michigan. The lakeshore has beautiful sand dunes and offers many of different activities at the various beaches, from kids playgrounds to sand volleyball. A little further past the lakeshore, St. Joseph has a lot of countryside that is home to nationally recognized vineyards and orchards. St. Joseph is also home to an eclectic mix of restaurants, giving you the perfect night out. The St. Joseph area is filled with an array of options for dining, whether you’re looking for something quick or something a little more fancy. St. Joseph has many options when it comes to entertainment, whether it is a night out with your significant other or a day on the town with your children, you can always find something to do. It is easy to make your mark in St. Joseph and the surrounding areas with all of the opportunities to give back. Get started by visiting the sites below and viewing the countless ways to volunteer in St. Joe. St. Joseph is naturally a diverse community, making it the perfect place to live or work. St. Joseph has a lot to offer when it comes to sports, leisure and water because of its location on the shores of Lake Michigan. Spend a day at the beach, on the golf course, or picnicking at a local park with friends. St. Joseph offers a variety of school choices, including public, private, and charter schools. With School of Choice, you are sure to find a district that matches your child’s learning style. If you’re new to West Michigan, or leaving a support system of family and built in babysitters, St. Joseph has independent childcare options for you. St. Joseph offers its own hospital, making it a very desirable location with easy access to healthcare. This city located in northern Michigan has much more to offer than your typical “resort town.” Besides the beautiful beaches, quaint shops, and ice cream joints, Traverse City offers things you would typically expect from a big city— a thriving arts community, numerous festivals, and a top-notch food scene. Our website has over 1,000 linked resources. We know a lot of things about West Michigan, but can’t be experts on everything. If you notice something that is out of date or we’re missing something that’s really special about your community, please let us know via our contact page.